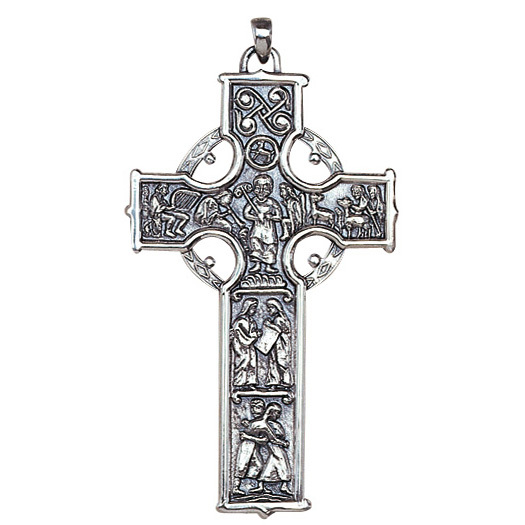 Hand wrought pectoral Celtic cross with detailed scenes in solid sterling silver. Available in all sterling silver or gold plated sterling silver. Handcrafted in Spain. Prices are subject to revision without notice from the manufacturer, please contact us to confirm current price.